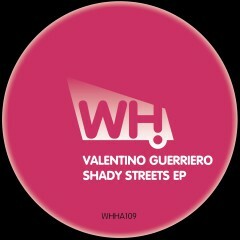 We proudly bring you the ‘Shady Streets EP’ from Italian DJ, producer and radio host Valentino Guerriero. Known for releases on well-established labels such as Frenetica, Gooseneck Records and the Berlin based Ampispazi Recordings, Valentino has picked up support from a wide range of DJs including Marco Carola, Oliver Koletzki and Mark Knight. His star is on a rise and these two tracks will only add further to his popularity.